Celebrate Quiche Loraine Day during the #31DaysofEggs May 20 is National Quiche Lorraine Day, which falls during the #31DaysofEggs of May. The Incredible Edible Egg shares tips and recipes all month long, at their website, or follow along on Twitter with the hashtag #31DaysofEggs. Eggs have been carefully handled on farms and egg processing plants to ensure safety. Follow these tips to keep them safe from the store to your plate. 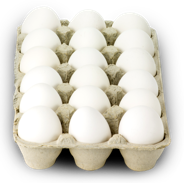 Celebrate 31 days of eggs in May May is egg month and The Incredible Edible Egg, along with the rest of the food and nutrition industry, are celebrating with 31 days of eggs.